“Let It Play” were the 3 words that ended season 1 of Revenge and stirred much excitement and conversations amongst Revenge fans. The main topic of conversation since the brilliant finale has been, who will play Emily’s not so dead mum? 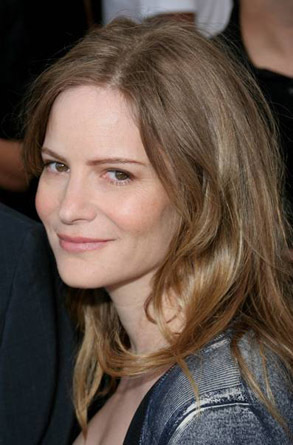 Well it looks like the perfect actor for this much coveted role is Jennifer Jason Leigh (most famous for her role in Single White Female)! The casting of Jason Leigh seems genius. She was frightening in Single White Female and by the sounds of it she has to bring that same kind of scary to Revenge. I for one can’t wait – “let it play” already! Revenge returns to US screens on 21 September. If you haven’t yet got onto it, RTE2 are playing it out on Tuesday nights at 9pm. This entry was posted in TV News and tagged Emily Van Camp, Madeleine Stowe, Mike Kelley, Revenge, Sarina Bellissimo. Bookmark the permalink. Great post. I used to be checking continuously this blog and I’m inspired! Extremely helpful information particularly the remaining phase 🙂 I maintain such info much. I used to be looking for this certain info for a long time. Thanks and best of luck. I am also a huge fan of Revenge and cannot wait until tomorrow when Revenge Returns to the UK!